Solana Flooring has access to most major brands and carry the following manufacturers samples in our wood floors showroom in San Diego. 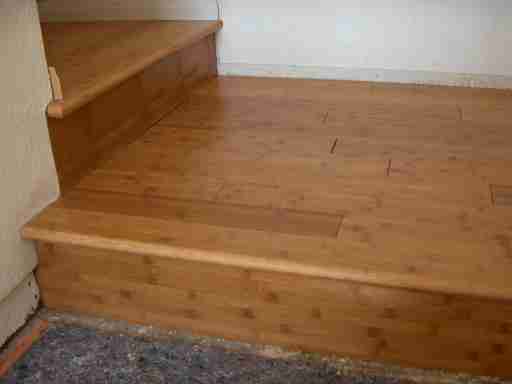 We can also Custom design any Hardwood species to your width, length and distressing specifications. With so many decisions regarding the hardness of wood species, the type of finishes, the difference between engineered and solid floor, please do not hesitate to stop by for assistance when deciding which wood floor is right for your situation. 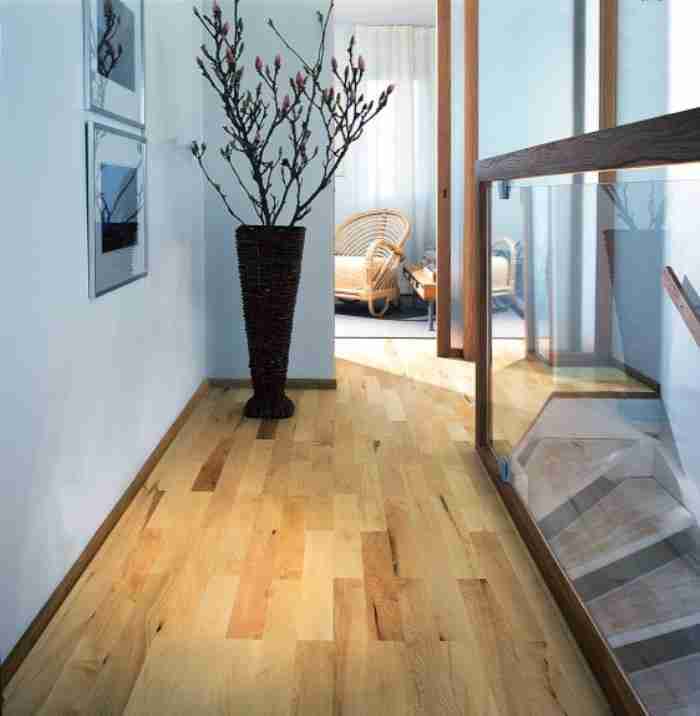 Here are some ideas for you to consider when selecting hardwood flooring in San Diego. One of the things to consider in your selection of hardwood is the width and length of your new floor. This photo is of a shorter and narrower butcher block pattern and is in contrast to the more popular longer length 7" wide boards that are in the first photo above. Obviously they are going to use the prime part of the tree to get longer widths and lengths and will normally cost more than the shorter boards which use as much of the tree as they can yield. Many people ask us if Hardwood is ok to put into a Kitchen. Well here is a classic example of how they are designing the new homes as one open great room. This lends to keeping the same flooring throughout and Hardwood makes a very nice choice, especially since some people are not happy with a very hard tile surface to stand of while working in the kitchen. Of course you will need to keep an eye on how much water or spilling is done in that area, and the type of wood that you choose can make a difference. 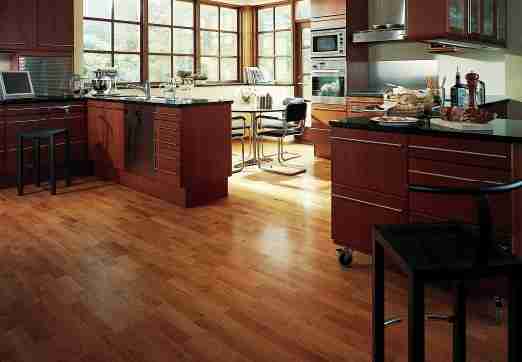 But the short answer is yes, many people are using hardwood in Kitchens these days and they look beautiful. 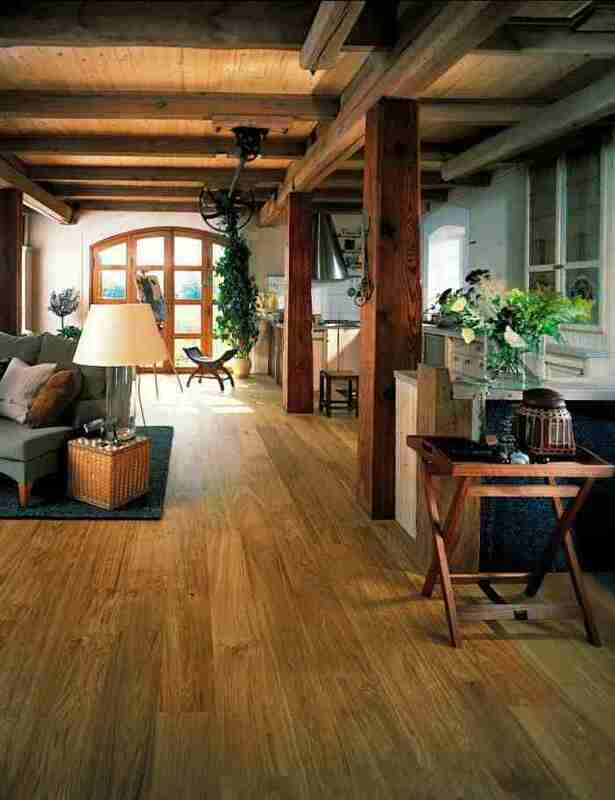 Bamboo is a very ecologically friendly renewable resource, IFyou are using a reputable source. We prefer to use Teragren as they are using sustainable forestation methods and have a higher quality manufacturing standard than most of the other companies. Bamboo is also 25% harder than Red Oak. One way to tell if the company you are purchasing your Bamboo from is a reputable company is toask if they provide all of the trim pieces to match your flooring. Teragren is one company that has a complete line of Stair molding, stair treads, stair risers, base and all the trim moldings you would need to complete your project in a professional manor. 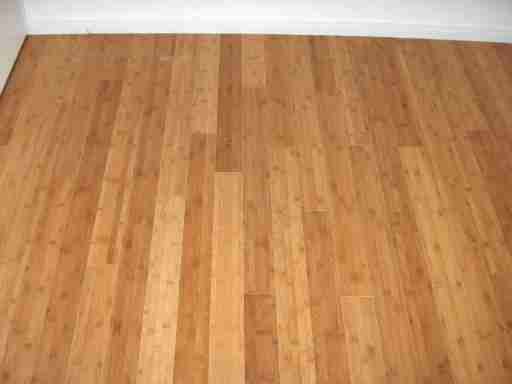 Hardwood flooring in San Diego is by far the #1 requested upgrade for new homes. 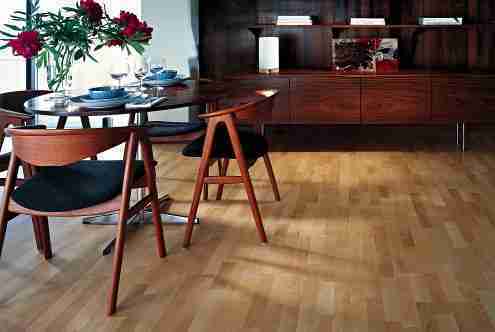 Hardwood flooring will add value to your home due it's natural beauty and long lasting performance. Your home will also typically appraise for an amount close to the value of your selection.